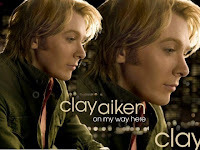 Clay Aiken is releasing a highly anticipated album of original material on May 6th. The album called “On My Way Here” is produced by Grammy award winner, Kipper who is best known for his work with Sting and Chris Botti. The core fandom and likely even the casual fans who first met Clay on American Idol five years ago have been waiting for an album like this for a long time. It is an album that reflects Clay and his journey. It is an album where he had more control over song choice and sound. So, why did it take so long to get this album? Well, to understand that, first let me tell you a story. Think of it as a Harvard Business Review case study (without the high tuition) crossed with a mythological tale, like Eragon. Imagine if you will a company that has been seen as not doing anything innovative in a while, a dinosaur. It's a singing Jurassic Park of sorts. It's run by an imperious dinosaur rider who at one time was seen as having his finger on the pulse of the singing zoo industry but now barely looks like he registers a pulse. He finds himself stuck with a deal to have first right of refusal on singers coming off a television singing competition. He's not thrilled with it but figures it will sell a few hundred thousand albums based on a formula he'll create by slotting the singers in a specific genre, in a cage. But what if in 2003 a singer came along that defied any cage? What if he not only possessed a voice not heard in a long time but also stage presence reserved for professional entertainers with many years of experience, a philanthropic bent that mirrors a younger Bono, a connection with a television audience that some television performers still strive for and the ability to sing just about anything. Overlay this with a dedicated, smart and organized fanbase and it sounds like a new formula for the next decade for this Jurassic Park. Perhaps transform them into Six Flags over Platinum. The opportunity was there to develop a new kind of marketing plan that combined today's music industry with the entertainment skills of the early greats as this new star was compared to Frank Sinatra by non other than Jerry Lewis. 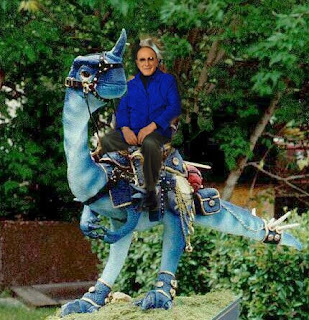 Imagine if the dinosaur rider had the opportunity to show that even after all these years, he could re-write the book again in the pop music landscape. What if, indeed. But what if the dinosaur rider had no real vision anymore for a male popstar and simply saw the dragon rider as an enigma. What if he stumbled and bumbled the marketing of this new and exciting enigma and tried to stuff him into one of his cages? What if they couldn't figure out if he was a teen idol with blond hair or the sweater clad Barry Manilow clone for the baby boomers? What if he forgot that the baby boomers grew up on rock and roll? WHAT IF he created his master plan as if he had this generation's version of the manufactured Monkees when what he really had was closer to the Elvis phenomenon. What if he took the voice known as the Vox (as it deserves its own separate name) and recorded it in the studio so that the music overshadowed it. What if the album sold so well as to break records that his ego failed to see the reasons behind the sales were in spite of the 5 cent production. What if the dinosaur rider was so focused on short term sales that he forgot to build long term careers, despite the fact that record sales were forecasted to decline and it's a lot more expensive to launch a new artist than build upon the success of an existing one? What if the enigma was able to sell concert tickets as well as he could sell CDs? What if the enigma could raise ratings and cause waiting lines for every television appearance he made? How would you capture that? What's the marketing plan for the next five years? Or do you fail to craft that and resort back to short term sales because you probably don't have too many more years as a dinosaur rider anyway. What if the enigma didn't want to just ride a dinosaur and expanded his horizons to different genres? Would the dinosaur rider climb aboard the new wave or just swat the enigma with his tail? What if the enigma had such respect from songwriters and producers that songs were written for him, songs that he previewed in a concert that showed a versatility well beyond ballads and cloned songs. What if the enigma found a heroine who asked the fans what they wanted and who was able to capture what was meant by The Vox in the studio with songs written by and for the enigma? What if the sky was the limit for sales and other marketing opportunities? What would the dinosaur rider do? The dinosaur rider would crush that idea and reach into his bowels for the same, tired formula that seemed to work for the same, tired older singers. Clones singing clones. Isn't that what Jurassic Park is all about? He would add months to the launch, which took money out of his own sales forecast. Would the bean counters protest or would they run from the dinosaur's wrath? Would any of the junior dinosaur riders protest or would they see that his time in the saddle was coming to an end and so they hoped to climb aboard without rocking the boat? What if people who feared the engima's talent started to send smoke signals of untruth while he fought valiantly with the dinosaur rider. What if the dinosaur's messenger who was supposed to help send out larger smoke signals to counter the untruths didn't bother and in some cases perhaps provided wood for the untruth fires? Why is this? Did the messenger value money and position over ethics? Or did he just lack balls? Did the bean counters not see this was a bad thing for Jurassic Park at a time when they needed every bean they could find? What if those who were supposed to research which smoke signals are truth and which are not, didn't bother? What if the dinosaur rider determined that not only would the enigma produce clones but that he would not even send out enough smoke signals to let people know the clone existed? What if the gold that radio required to play the clone was left in the dinosaur's nest for those who are not an enigma but in reality just clones of rock bands already on the radio? What if the dinosaur rider's idea is that all fans are interchangeable and that one of his other singers in another cage would just take the enigma's fans? But What if the Nation of the Enigma said ENOUGH. We are not blind to a dinosaur rider's games and lack of vision. We are not scared by smoke signals of untruth. We are here for the enigma because of who he is and how he sings, not because he is in Jurassic Park by way of some television show. It's more than just music, it's love.. It's a bond that transcends any CD or concert ticket. But, the engima became stronger and confident in his own riding and his Nation What if the dinosaur rider wanted more clones and the engima said No. Finally, the enigma could have freedom to create what he wanted. He sent the heroine on a quest to find a swordmaker who would make a new sound when the Vox met steel. A sound that would represent his journey in ways both expected and unexpected. A sound for dragon riders and not for dinosaurs. A sound for the future and not the past. And his army would not wait for the dinosaurs to spread the news of this new creation. They would sound the cry far and wide to the Nation. 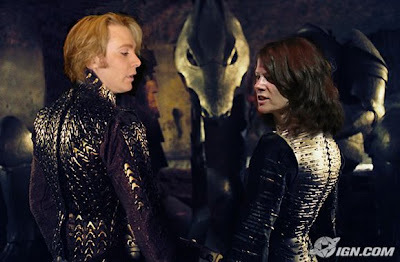 The general would help the dinosaur rider reach new members of the Nation by arranging for him to perform for another “King” to show the Vox can also be the court jester. The Nation became hopeful that finally the dinosaur rider would achieve the greatest heights that have always been his for the taking. And he will soar over many types of kingdoms, not just the land of music. So, I ask you this question for your term paper on this Harvard Business Fairy Tale. What is the business case for a company that has a “product” that is better than most others out there. That has a loyal, wealthy and organized group of consumers that will buy all that the product has to offer. Consumers that know there are more variations of the product than the company could produce which will attract even more consumers? That stand by the product when others would falsely say it is defective. That go out of their way to promote the product to others when the company fails to. That watch the product grow and evolve and get better all on its own. Would you bring a business plan to a venture capitalist and say you had this product in the palm of your hand with all those consumer characteristics I just described and yet you will choose to ignore it all and were going to go with a tired clone formula while letting the media slap it around as if it were a ping pong ball? Of course not, you'd be shown the door in 5 seconds with a snicker at how stupid you were to screw up a sure thing. Makes me wonder what the rest of the music industry will be thinking about when the new product comes out in May. Should the time of the dinosaur rider come to an end? The dragon rider should never be understimated again. The dragon leaves only Ashes in its wake. So, on his way here, the dragon rider had to overcome many obstacles and battles. Some he could fight, others made more sense to retreat and regroup. But he never lost the vision of where he belonged. His battles have, in many ways, strengthened his new creation with scars and with love. And the Nation never lost the faith in him. 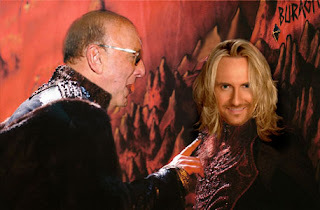 So thank you, Clive Davis-keeper of the dinosaur dung. You gave the Clay Nation exactly what we wanted this time....for once. 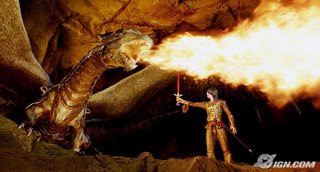 You gave the dragon rider control, even if he flies alone while the heroine, the swordmaker and the army work to support him in the villages, old and new. Eyes on the Prize, Clay. We're ready for you to soar. The Nation awaits to rejoice in May. 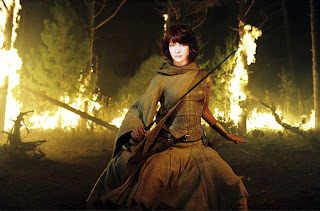 Thanks to Invisible926 for the photoshops. 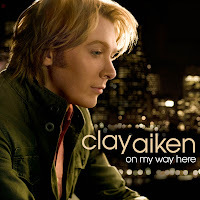 Clay Aiken will be releasing his latest album on May 6th. The following is what Clay had to say about how this album came together, in a piece found on the RCA press site. When Clay Aiken and his executive producer Jaymes Foster began the search for songs to record for Aiken’s first album of original material since his 2003 chart-topping debut Measure of A Man, they both fell in love with a song written by OneRepublic frontman Ryan “Alias” Tedder called “On My Way Here.” The message of the lyrics — how the lessons we learn while growing up shape us into who we become as adults — struck such a deep chord with Aiken that it wound up inspiring the theme (and title) of his new collection. As Aiken’s millions of devoted fans around the world already know, it’s been a whirlwind journey. Since shooting to stardom on the second season of American Idol, the 29-year-old Raleigh, NC native with the powerhouse voice has become an international pop phenomenon who has sold six million copies of his three best-selling albums: the double-platinum Measure of A Man, 2004’s holiday CD Merry Christmas With Love (which went platinum within six weeks of its release), and the gold-certified A Thousand Different Ways — a 2006 collection of 10 covers and four originals that earned Aiken the distinction of being the fourth artist ever to have his first three albums debut in the Top 5 on the Billboard chart. In addition, Aiken has launched eight live tours, made the New York Times best-seller list by co-authoring the inspirational memoir Learning to Sing: Hearing the Music In Your Life, executive produced and starred in his first TV special, A Clay Aiken Christmas, and won several American Music and Billboard Music Awards. In January 2008, Aiken made his Broadway debut in the role of Sir Robin in the Tony Award-winning musical Monty Python’s Spamalot. If that weren’t enough, Aiken also donated much of his time to charity, performing at dozens of concert benefits for causes he cares about. The creator of the Bubel/Aiken Foundation, which promotes and funds educational and recreational programs for children with special needs, the singer has traveled the world as a National Ambassador for UNICEF. On its behalf, Aiken has visited tsunami victims in Indonesia, villages in Uganda, classrooms and health centers in Afghanistan, and spent this past Christmas in Mexico with children affected by recent floods. That’s a lot of life experience to cover in one album. “It is,” Aiken admits, “that’s why the lyrics really had to matter this time around. It’s the first time I’m singing about things that mean something to me.” Which is not to say that every song is about something that actually happened to the star. “What’s powerful about a lot of the new songs is that they can mean different things to different people,” he says. “It was really important to me that they be interpretable in all kinds of ways, so as not to cloud someone’s ability to find their own meaning in them.” One example of this is the evocative ballad “The Real Me,” written by singer/songwriter Natalie Grant, which is a poignant story about the experience of being in the public eye. “The song really spoke to me about the necessity of having someone in your life who knows you and doesn’t really care about the fact that you’re a celebrity,” Aiken says. Anyone who is a regular reader of The ConCLAYve knows that I'm a big fan of Bobby Darin. I've posted many of my favorite Darin performances in other blogs like How About The Clay Aiken Musical Variety Show? or Musical Collaborations. One song I've long been looking for video of is Bobby performing "Simple Song Of Freedom," which he wrote in 1969 and which Tim Hardin had a hit with. This blog is short - and simple. Like this wonderful song. For me, this song rings as true today as it did back in 1969. Thank you Bobby.